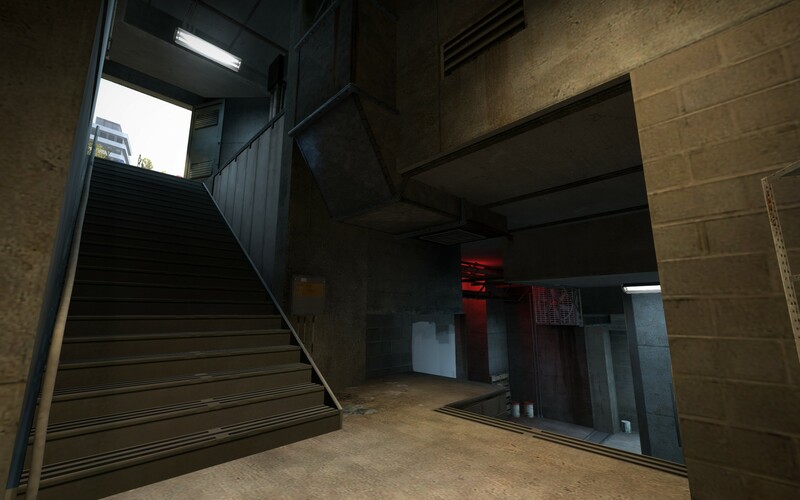 Overpass is CS:GO’s first completely new defuse map designed with competitive play in mind. 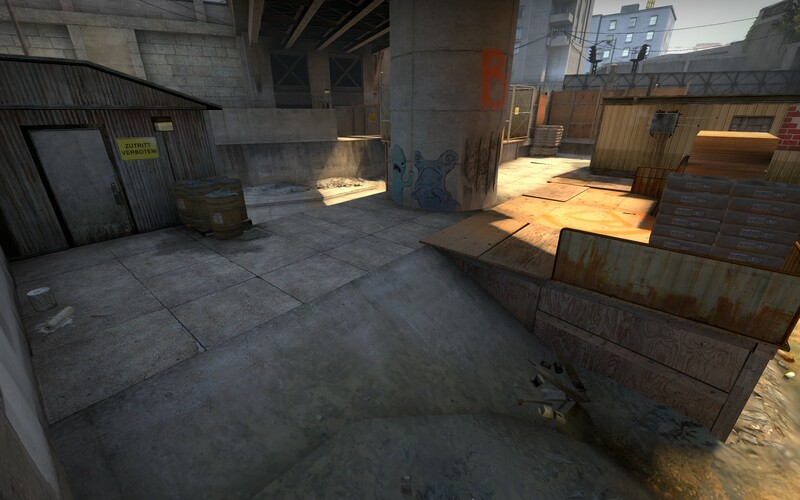 Since its release in December 2013, Overpass received seven updates based on feedback and data. Below, we’ll discuss some changes we’ve made to the map, explain our thinking behind them, and give you some insight into what goes into creating and maintaining a map. In defuse maps, the bombsites are the centers of attention. 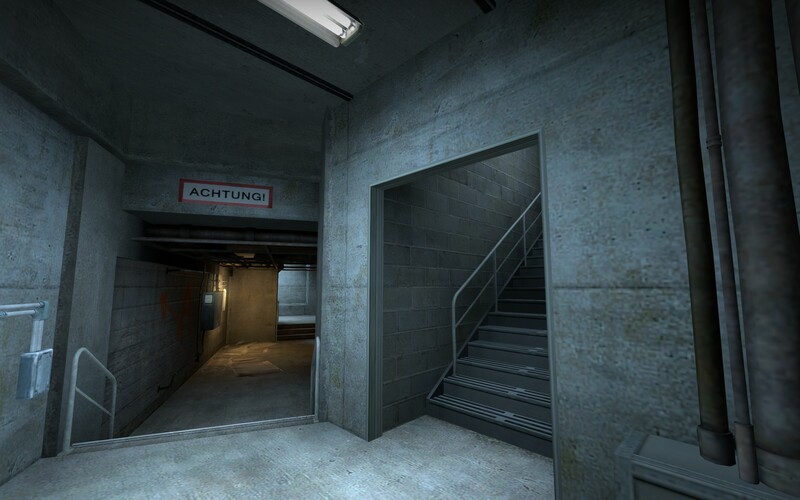 In Overpass, we experimented with a somewhat different setup: Counter-Terrorists were encouraged to defend Bombsite A away from the site. Bombsite B, conversely, functioned in a more traditional way, with most of the action being centered on the site itself. Retaking the site from the A tunnels was originally very difficult, because defenders could keep tabs on the area from many angles. Several changes were made to address this issue. 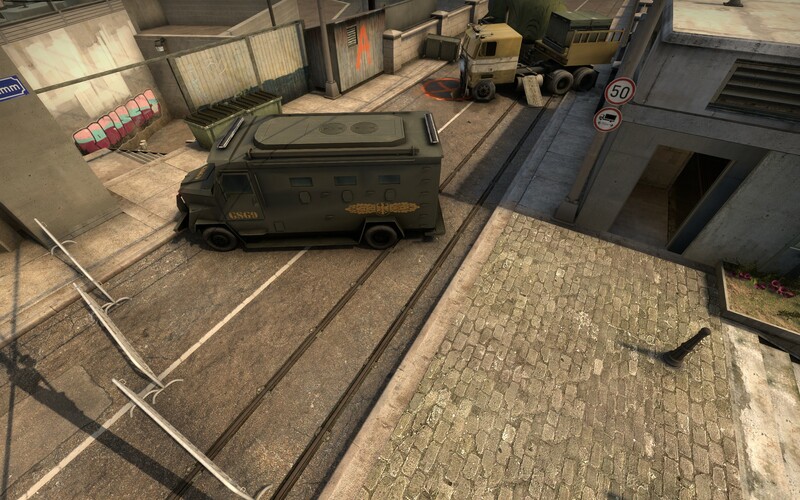 The CT vehicle was moved to provide better cover for players entering from the A tunnels. The red car was removed because it gave defenders an unfair advantage, allowing them to hold the site while only exposing their heads. 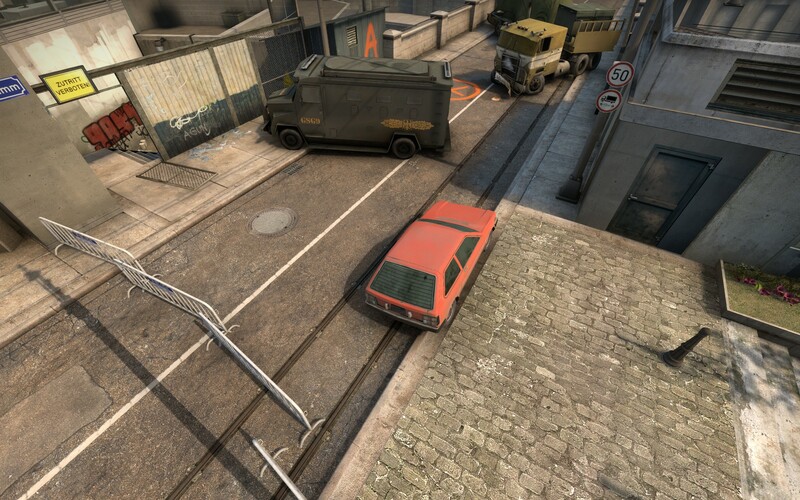 In addition, the truck (the Terrorist’s target) was moved to make hiding players stand out, and the fences defining the outer limit of the area were pushed back to give some more space to maneuver. In the latest version, the concrete hut was opened up, giving a lone defender a safe but isolated spot to hold the site. 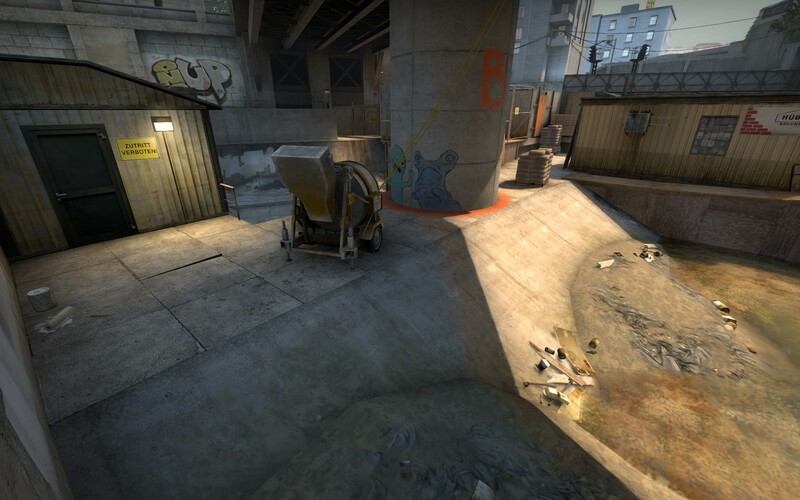 As mentioned above, the bombsites in Overpass are quite different from each other. 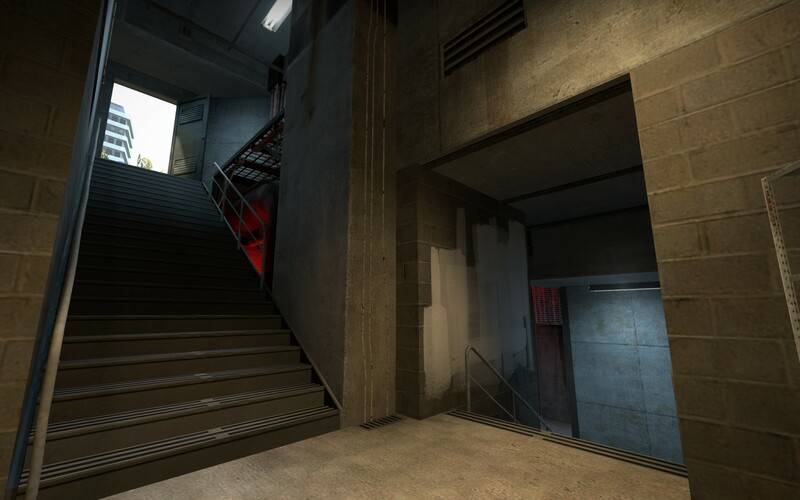 Though we predicted that bombsite B would be prone to rushes, we found that the Counter-Terrorists had trouble getting to the site in time, often arriving just as the bomb was planted. 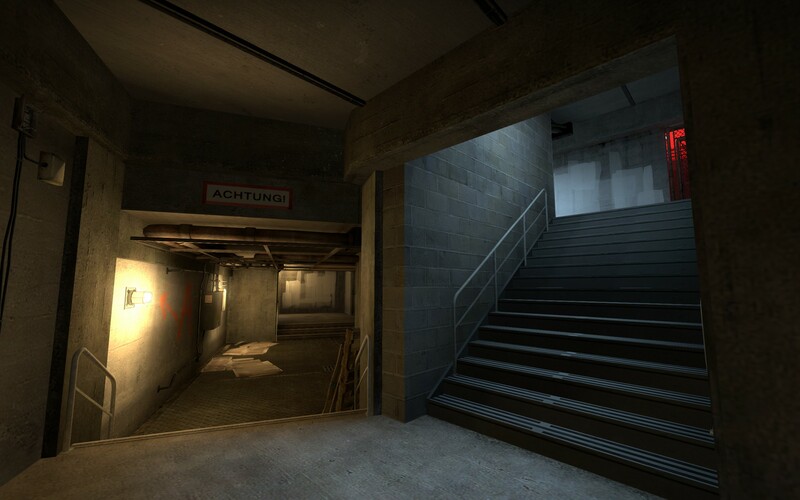 This encouraged the Terrorists to continue to rush B, causing Counter-Terrorists to stack the site in an attempt to prevent an easy win. 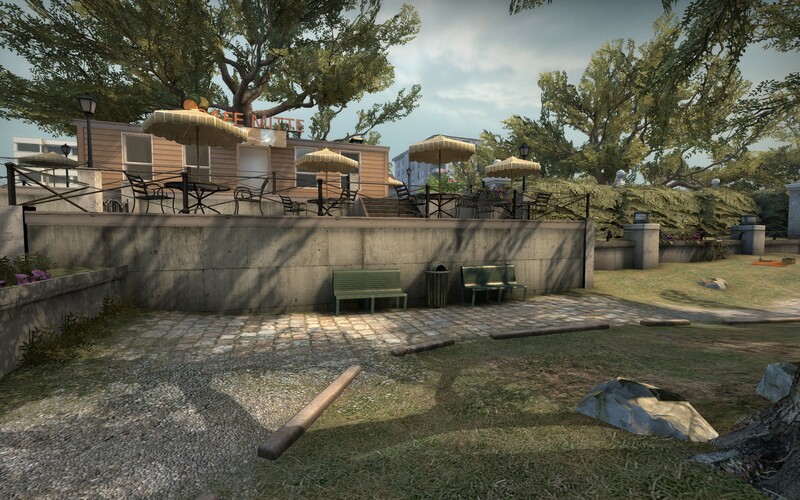 The first update to the map addressed this issue by moving and reworking the bombsite layout, and also by adjusting the spawn positions of both teams to give the Counter-Terrorists time to set up. The cover in the site was simplified and moved closer to the walls, improving readability in the area and making defensive positions more predictable. 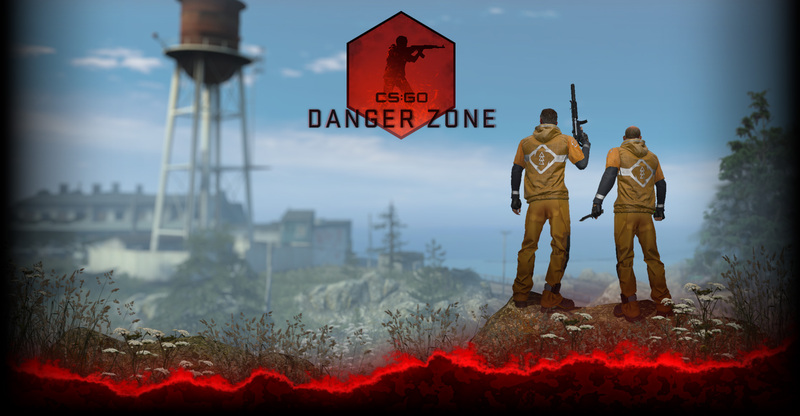 These positions can now be countered by smokes or flashes prior to moving into the site. 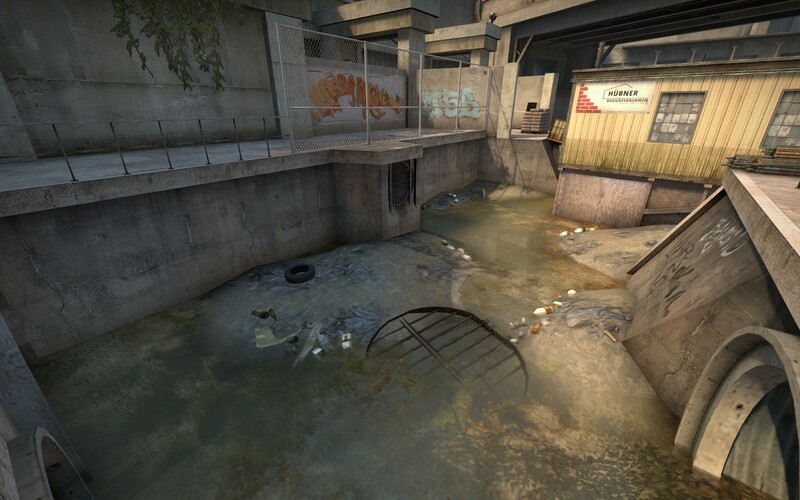 The layout of the canal area used to be very open, leading to situations where a Counter-Terrorist could push forward with relatively low risk, potentially getting the drop on unsuspecting Terrorists attempting to take the site. Combat was unpredictable, with no clear front-line. The area was sectioned off, allowing the Terrorists to work the site with their back against the wall (and having safe areas to fall back on), and also allowing Counter-Terrorists to better predict where combat would occur and properly prepare for it. At the time of release, interior spaces were tight. 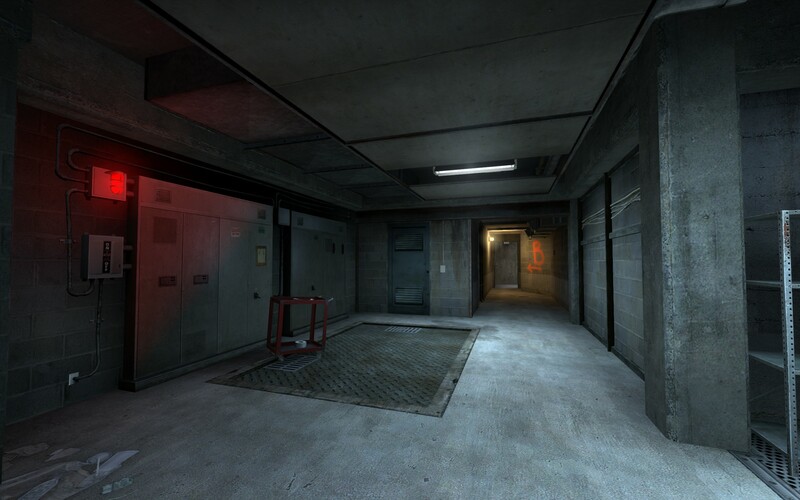 They have since been widened, allowing teammates to move freely without bumping into each other or level geometry. The added space also allows players to safely navigate around corners to get a clear overview of the environment. Thanks to player feedback, we learned that once players decided to attack a site they felt locked into that decision due to long rotation times. In response, we added two new connectors to the map. 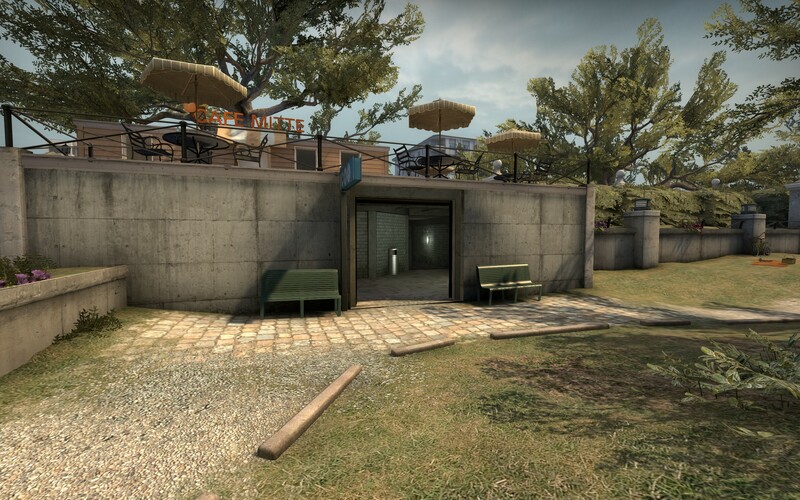 One connects the bathrooms near Bombsite A to the upper park, enabling a single Counter-Terrorist to keep tabs on both areas and providing the Terrorist side with more options when attacking the site. 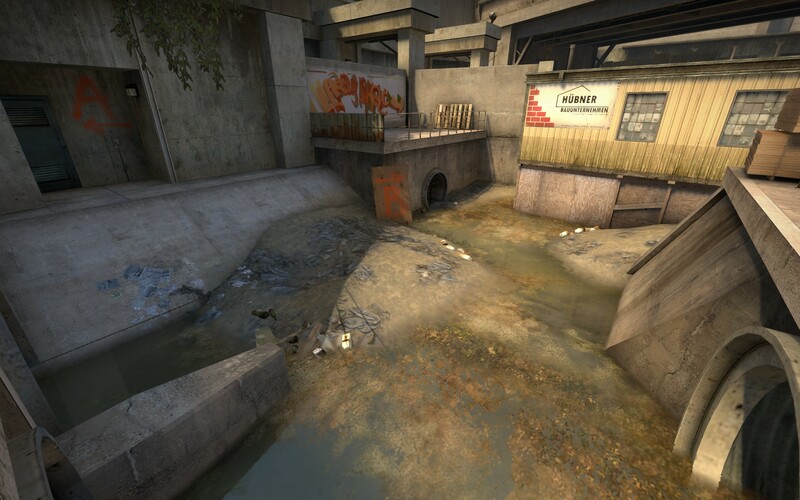 The second new route was added between the tunnels near Terrorist spawn and the Terrorist side of the Canals. The new connector cut down the time to move around the map, allowing greater flexibility in tactics. What have you discovered? What strategies have you developed? Make your mark on Overpass and let everyone know!